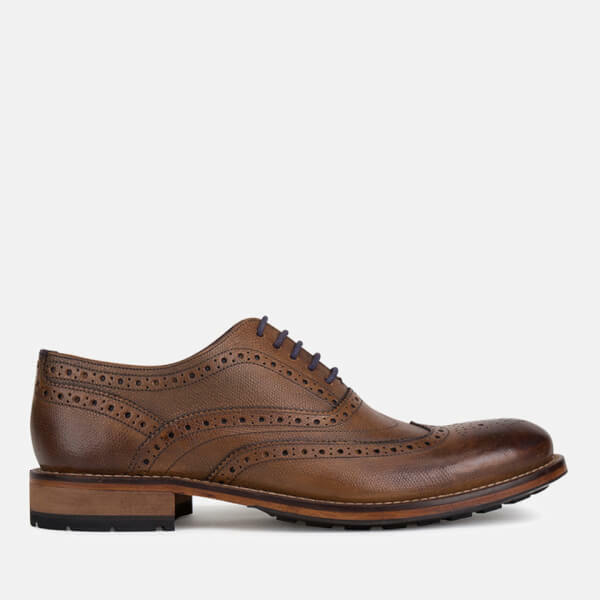 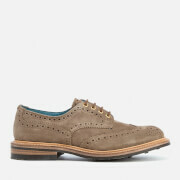 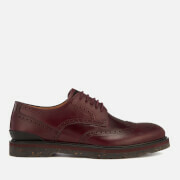 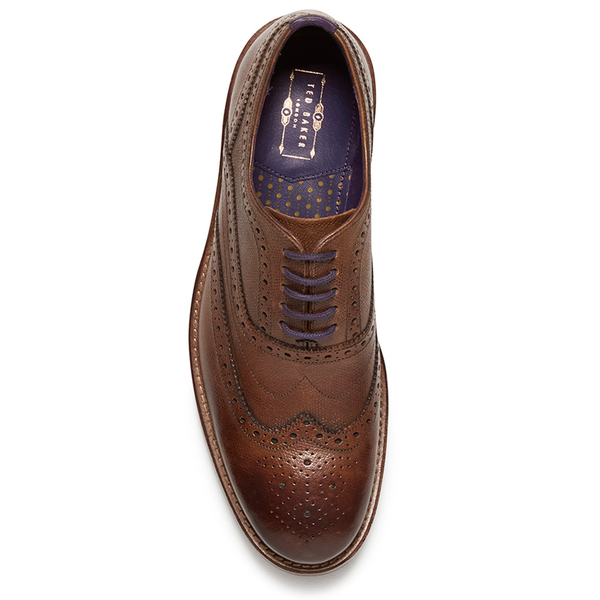 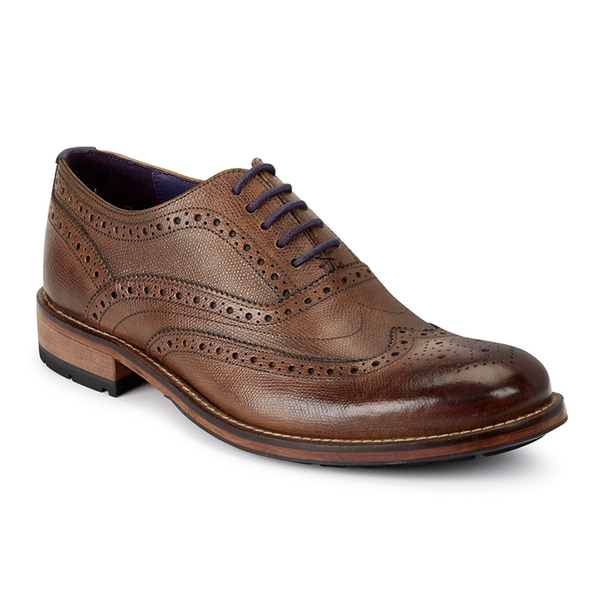 Men’s ‘Guri 8’ brown leather brogues with a rounded toe from Ted Baker. 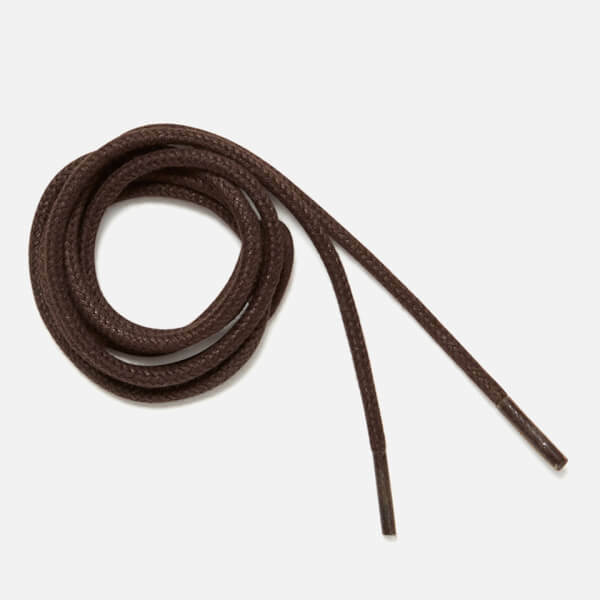 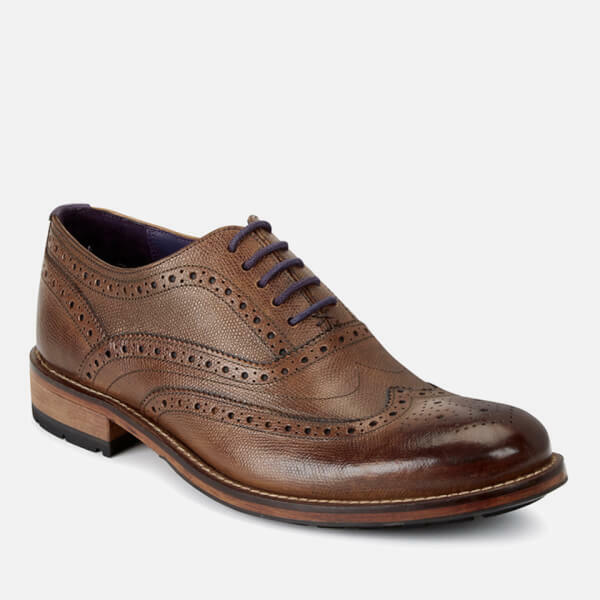 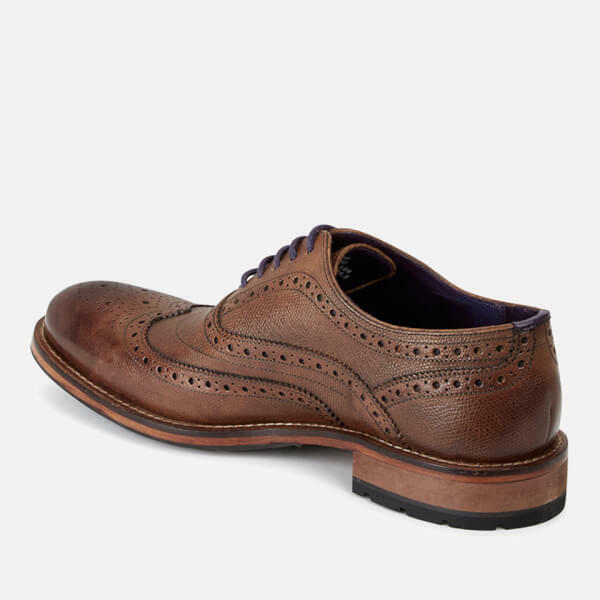 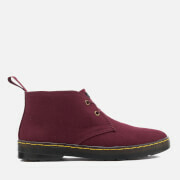 Crafted from textured brown leather, the shoes feature an Oxford lace-up fasten with round laces, punched details and a classic wingtip finish to the toe. 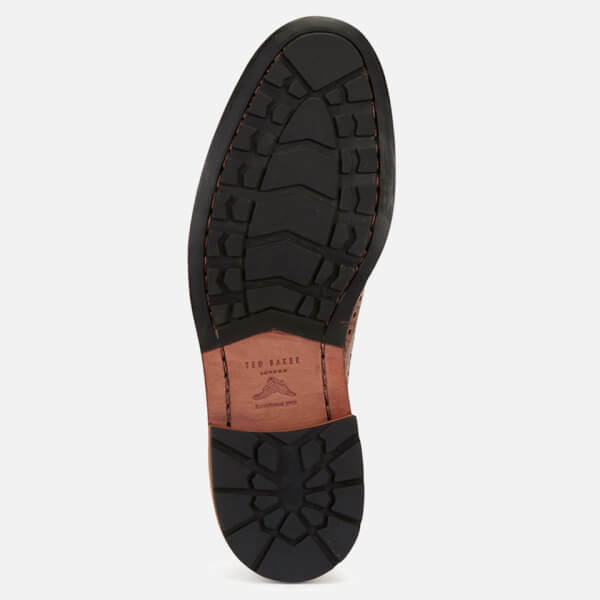 Set on a leather midsole with a small stacked heel, the ‘Guri 8’ brogues feature a durable black rubber lug outsole for added traction. 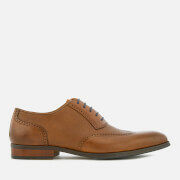 Complete with a cushioned footbed detailed with gold-tone Ted Baker branding and a spare pair of laces.